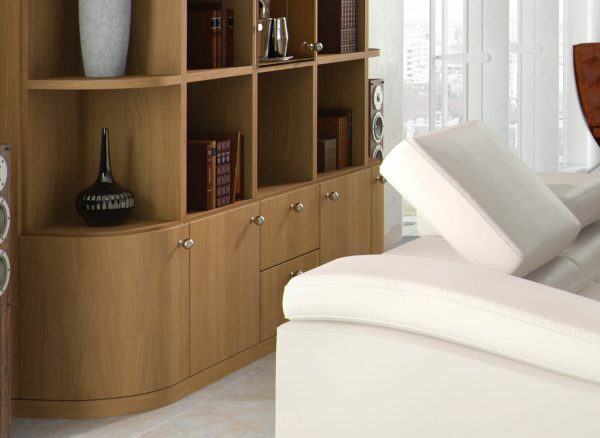 Kick back and unwind in our modern Optima lounge in the warm and subdued tones of Natural Oak. The contemporary curved profiles and luxuriously high quality finish work together to create an elegant space, designed purely for you. Our discreet storage maintains the minimalist look, with built in features to accommodate your TV and technology. The result is a well thought out room that effortlessly serves you from relaxing morning to evening entertaining. Personalise your contemporary Strachan lounge with your own decorative details and treasured items. 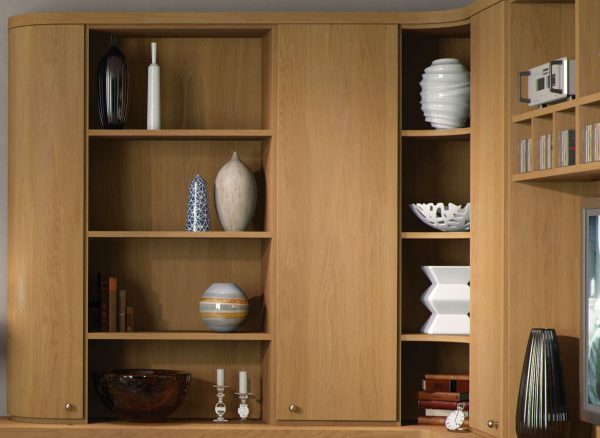 We can design and craft dedicated shelving throughout your room, allowing you to proudly display everything from your favourite books to your family photos, making your Optima furniture your own. Enjoy a complete suite of bespoke lounge furniture. In addition to uniquely crafted and fitted designs, Strachan can also configure matching freestanding pieces. 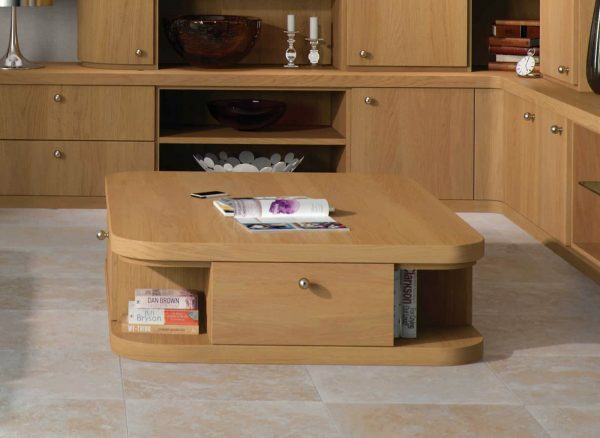 This Optima coffee table provides additional surface and storage space and is finished in a matching Natural Oak wood for a seamless lounge design. Store items safely out of sight with our discreet storage solutions. This fitted Optima unit features full length cabinets with a warm Natural Oak finish and the appealing curved profiles of the Optima range. These cabinets can be configured to include internal shelving that is made to suit your needs.